For many Kanye West fans, his stance for the last few years has been problematic, to say the least. 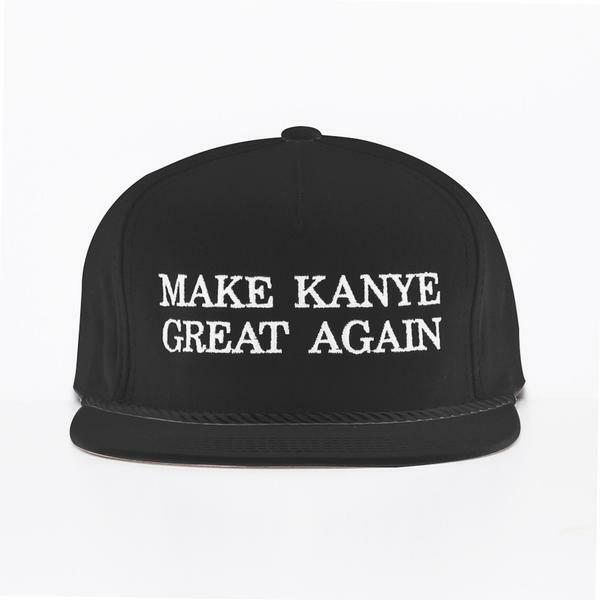 However, what some know, but many are seemingly unwilling to say, is that the issue is bigger than Kanye. West’s problem is that he has an altered and limited level of consciousness. What I mean by this is that anytime your level of consciousness, or genius, can only see to the level of whiteness you will be stunted in how far your mind can envision. For Kanye West, it appears that whiteness is his level of excellence. I understand the logic behind wanting to take something oppressive and make it your own, but even that frame of mind is extremely faulty. Honestly, it’s very dangerous. To say that Kanye West is not already aware of this would be foolish. Kanye West is a physical representation of the problem, but internalized racism and self-hatred are real. Would it be an oversimplification to say that West identifies with his oppressor? Is it inaccurate to say that Kanye suffers from Stockholm syndrome? Is it fallacious to say that West is bamboozled? Is it false to say that Kanye West is a willing victim? You tell me. Anyone who has spoken with me at length is aware that one of my biggest frustrations with America is that often events are viewed a-historically. This frustrates me because not only is nothing new–maybe nuanced, but not new–but it continues a cycle of reinvention instead of learning from the mistakes of the past. To “make it plain,” Malcolm X spoke about Kanye’s issue many moons ago. Is Kanye forever lost? That is not for me to say. But I will say this, we have given Kanye a platform to speak for the Black race; he no longer deserves to have the mic. There is always a spot for Kanye, but not like this, and not today. I think Kanye is a lot like Trump or ed Nugent, or any number of celebrities who seem so caught up in their own celebrity status that they can’t see past the nose on their faces. Sadly, their fan base act as enablers, transforming what should be red flags alerting relatives of genuine trouble into symbols of greatness. t’s a shame he takes his symbols from white supremacists these days. I definitely agree with your last sentence here.